Chance Kornuth raised to 200,000 and Kevin Boudreau popped it up to 600,000. Kornuth called and they saw the flop of 2 8 J . The turn brought the 8 to give Kornuth trip eights. The 3 finished the board and Boudreau was eliminated in second place, good for $313,792. 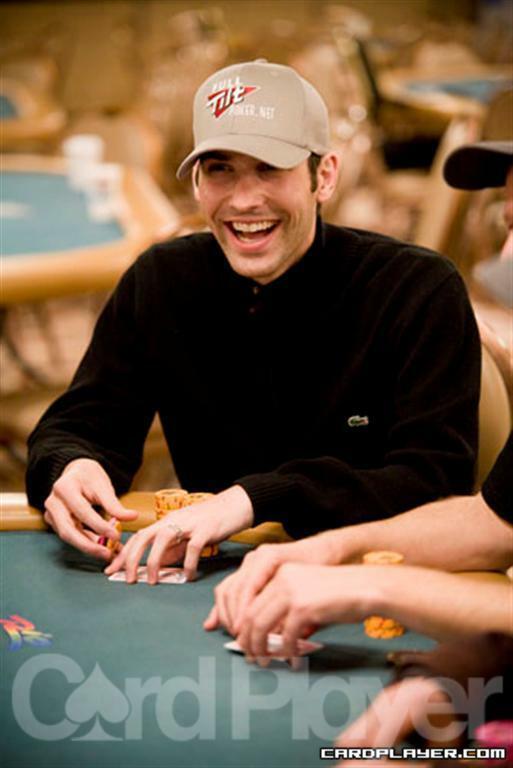 Kornuth took down his first WSOP title and $508,090. Chance Kornuth raised to 280,000 from the button and Ted Martin moved all in from the small blind for 550,000. Kevin Boudreau called and so did Kornuth. The turn was the 9 , giving Boudreau the ace-high flush. 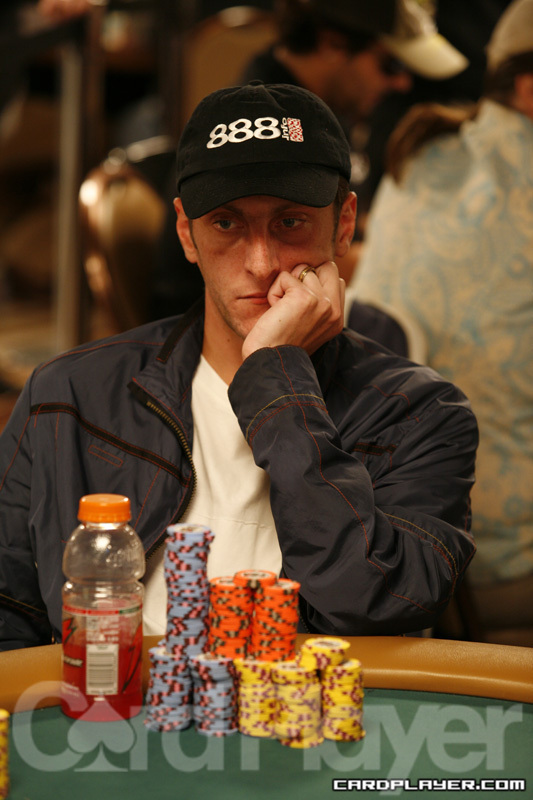 The 4 landed on the river and Martin was eliminated while Boudreau tripled up to 2.4 million. The board ran out 9 3 6 Q K and Smith was blasted in 3rd place, winning $226,923. With that, Kevin Boudreau and Chance Kornuth were heads up with 3.6 million versus 3.2 million. Kornuth won the hand to grow his stack to 2.31 million and Gardner was eliminated in sixth place ($91,387). Mandel was eliminated in fifth place, good for $122,455. Smith hit a set on the flop of A 8 6 and Barbero was in trouble. The turn was the 4 and the 6 river sent Barbero to the rail in 9th for $40,364. Smith took the pot and moved up to 1.3 million in chips. Mizrachi was trailing but the K turn gave him even more cards to draw to. The 5 hit on the river and Mandel held on to knock Mizrachi out in 8th place ($52,471). Mandel had 1.3 million after the win. Chance Kornuth raised to 60,000 and Eric Liu potted to 225,000. Kornuth made the call and the flop ran A 10 7 . Liu held top set but Kornuth had straight and flush draws. The K turn card nailed Kornuth’s straight draw and the 9 river meant that Liu was gone in 7th place, making $68,902. Kornuth’s stack grew to 1.6 million. Players are now on dinner break. Stay tuned to CardPlayer.com to see who will win the $508,090 first-place prize. Just 31 players remain out of the 460 that began the tournament. The first player eliminated today will receive $12,561. First place will walk away with the gold bracelet and $508,090. The plan is to play down to a winner. Notables still in contention include chip leader Robert Mizrachi, Ryan D’Angelo, Ran Azor, Benjamin Spindler, Jason Mercier, Di Dang, Joe Beevers, Josh Tieman, Julian Gardner, Joe Serock, Eric Liu, Ayaz Mahmood, Justin Smith and Nam Le. Stay tuned for level-by-level updates from the final day of event No. 50!